This course is currently being created, with the first lesson (Introduction and Glossary) already available. Lessons will be coming out every Friday from here on out. While I’m creating this course, you can reserve your seat and pre-order for only $25. This course will walk you step-by-step through my method to make open bezel resin jewelry. My best secrets and tips will all be inside. Imagine diving into this medium and coming up, again and again, with uncured pieces, overflows—issue after issue. Reserve Your seat in Class now! After I had ruined my curtains and tossed many unusable pieces—I wished I had some sort of guidance. Someone to ask my questions and to teach me how to avoid the amateur mistakes. I just want to have fun creating. I wanted to focus on making beautiful jewelry. I was tired of wasting my time and money and supplies. All my courses are designed to help others where I once wished I had help. This Guide is the most affordable option for the knowledge it will hold inside. I’ll be sharing what I’ve learned from making resin jewelry for 3 years—I’ve developed a method that’s ensured my work comes out every time or is totally fixable. I’ve also mastered recovering pieces—a key lesson that will be included. What the curriculum will look like . . . Since the course is still being made, the structure may change slightly. The following is meant to give you a idea of what will covered. The introduction to me, my work, and resin jewelry in general. A mini glossary is included to familiarize the unfamiliar with common resin terms. In this lesson I’ll go over safety precautions and how to prepare yourself so you’re set up for success. I’ll be going over supplies and my favorite brands. Here we’ll go over the basic supplies, sometimes needed supplies—and I’ll make brand recommendations when I have some. I don’t make affiliate income from it, and you can use other brands if you prefer. This lesson will teach you how to prepare your flora and findings, how to plan out your designs, and how to best store the items you will be embedding. The most crucial layer to get right. You’ll learn how to set up the perfect tape layout, mix your resin correctly, remove bubbles, and embed your flora and findings. Why is there a second layer? And will there be a third? In this lesson I’ll go over answers to questions like these and walking you through how to execute layer 2. How to remove tape residue from resin without damaging the surface. There’s a few ways of going about this, but I go over my favorite method with the fewest supplies and the best results. Over the years, I’ve come to omit the third layer of resin. There are exceptions and rules to follow around this. Why add another layer when it’s not necessary? This course, but this lesson in particular, focuses on creating in the most efficient way to make as much room as possible to just have fun and be creative. When working with open bezels, even the strongest tape can still lead to ‘underflows,’ And overflows can still happen, too. These are when the resin flows outside the bezel in any way before it hardens. But these can often be fixed and I cover how in this lesson. The closing lesson and where to go from here. 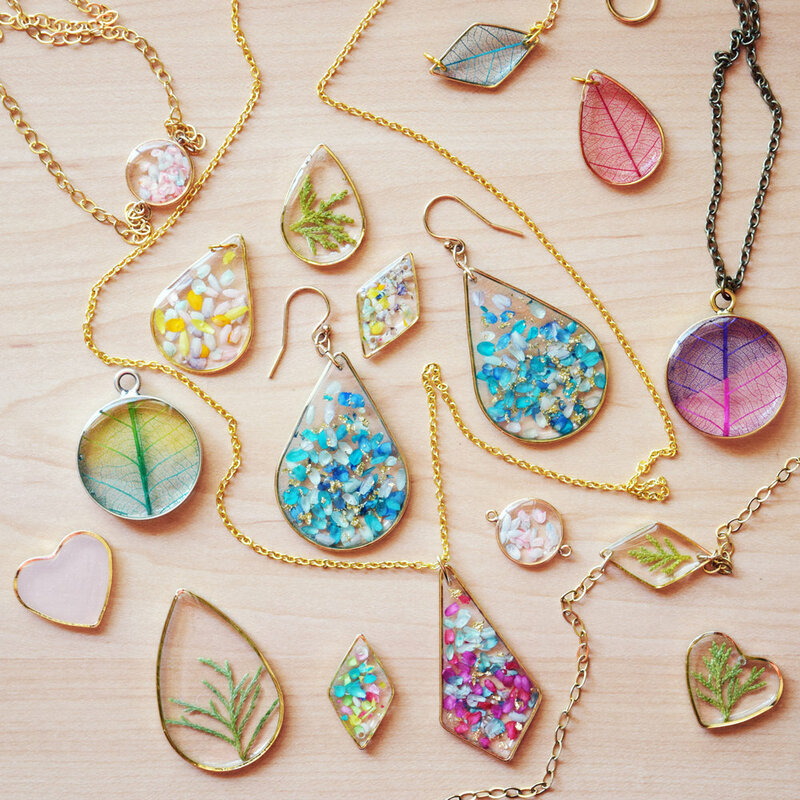 You can learn every secret you need to start making resin jewelry. And you’ll start prepared, knowledgeable, and with a teacher who is excited to see you succeed. 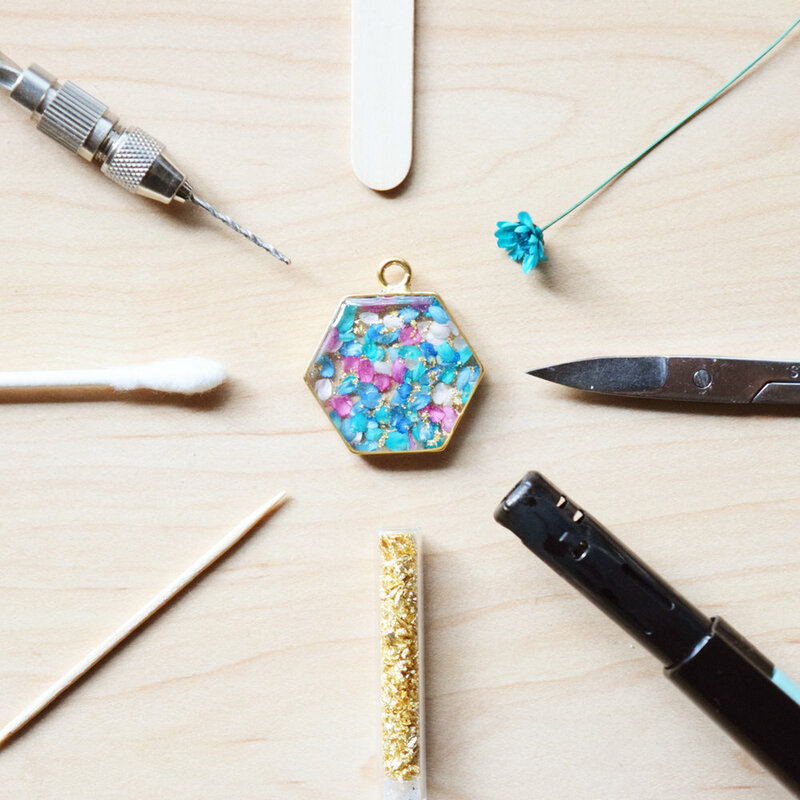 Start making the resin jewelry you’ve been drooling over. And stop waiting to learn or try your hand at it. Know what to do, in what order. I have no experience with this . . . Can I still take this Course? Absolutely! I created this course so even those with no experience whatsoever can learn. Beginners and toe-dippers alike. Can I get a refund after I purchase? If you are truly unhappy with the course and contact me within 14 days of your purchase, you will receive a full refund and no longer have access to the course. After that timeframe, refunds will not available. Will I need to buy anything else? Yes, supplies and tools. Depending on what you already have at home and need to get, the price could be between $5-100 (the more you choose to make the more supplies you need to purchase). Some items you will already have at home and some will only be available in online stores. If you don't have the free supply and tool PDF, contact me at kayla@thestorypreneur.com and I will send it to you. When will lessons be added? Every Friday until the course is complete. Will the classes Be text-based or Video? Classes are text-based. This course contains no videos. Check out my video course, Resin Jewelry Making, if you prefer to have visuals. Click the Courses tab in navigation. Do I have to use the same supplies and brands you do? No! But for best results, I do recommend using the same brands I emphasize (which is only several items on the supply list). It's still possible to use other brands, though the results may be slightly different. I cannot attest to the quality of brands I don't recommend. how will I access the classes? Through a platform called Teachable. Once your username and password are set up and your payment has gone through, you'll get access to the first lesson (and as the rest come out, you'll receive them automatically). Will I be able to make resin jewelry after this course? Yes! I go over my core method. It's a general guideline that will support you in whatever you plan to make. I teach how to make open bezel jewelry. Molds are not covered, but you'll be more knowledgeable about resin jewelry in general, which will contribute to going on and doing new things. For how long do I get access to the course? Lifetime access. You can come back to it whenever you want. What if I want to sell my crafts? What if I don't want to sell my crafts? You definitely don't have to! Let it be your hobby. 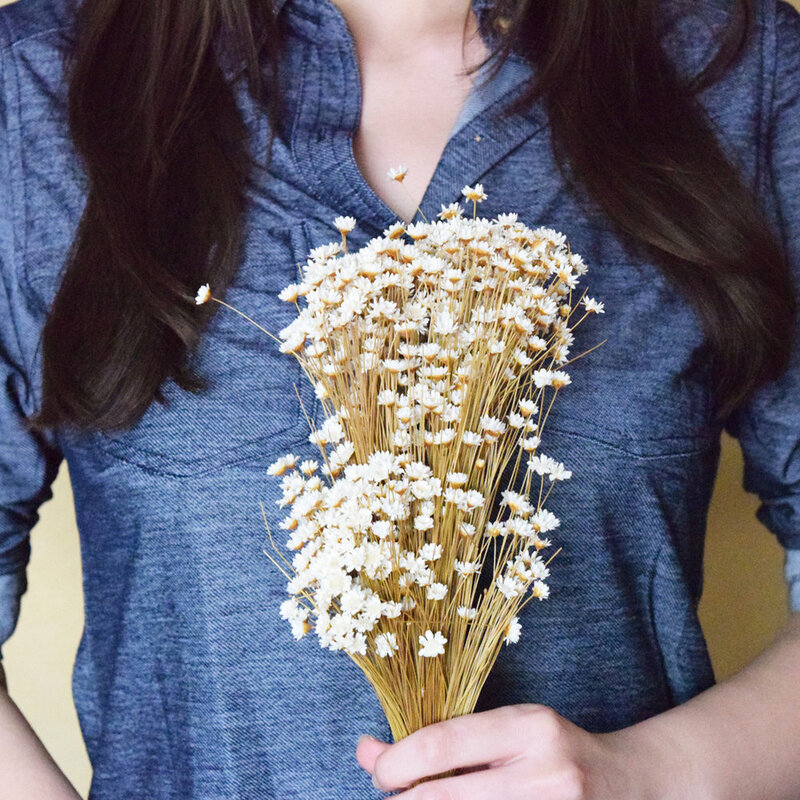 The main aim of this course is to teach the skills for a handworking hobby to promote the mind-body connection, rejuvenate the soul, and produce jewelry directly form your heart and hands. Can I view the lessons on my phone? Yes, phones, tablets, laptops--any device that can access Wi-fi and the internet can access the course. You'll also receive a printable version of the course when it's complete.